Fox News host Tucker Carlson recently had Phil Cafaro, author of How Many Is Too Many? The Progressive Argument for Reducing Immigration into the United States, on his program to discuss the environmental case for reducing immigration to the U.S. The population of California has been growing at unsustainable levels for decades. 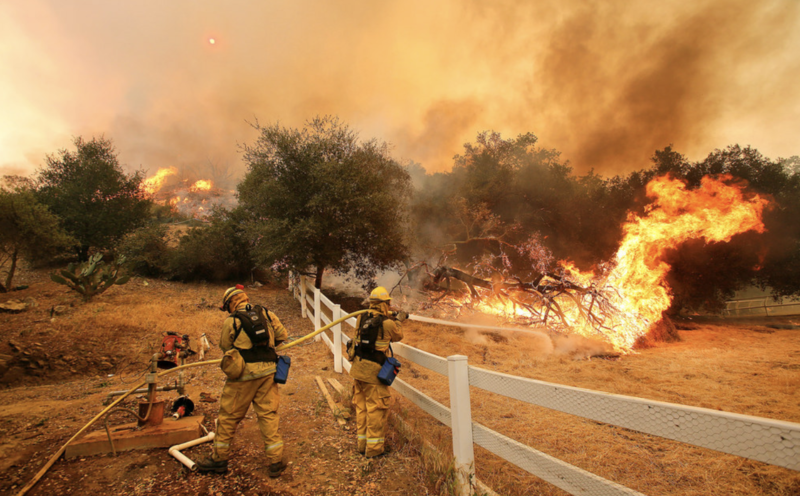 Now, at nearly 40 million residents, the Golden State is witnessing a housing shortage exacerbated by the most destructive wildfires in California’s history. Estimates of the total number of illegal aliens living in the United States range from 11-20 million people. While figures vary, it's estimated that nearly half of the illegal population are visa overstays. Biodiversity. Family planning. What’s the link? More than 26,000 of the world’s species are now threatened, according to the latest assessment of the natural world from the International Union for the Conservation of Nature. Over the last year, six more species have been declared extinct, and another 1700 species are listed as critically endangered, possibly extinct. Read more about Biodiversity. Family planning. What’s the link? If promising sanctuary for illegal aliens wasn't enough of a draw for more illegal migration to California, now, the California legislature is poised to pass legislation that would offer taxpayer-funded medicaid to people without legal residency in the state. How can we tackle air pollution in California without addressing its root cause? “Downsizing” in contemporary vernacular has come to be associated with reducing possessions – “stuff” – to live more simply. But in Alexander Payne’s new film, “Downsizing,” the word has a completely different meaning.